The Inaugural Brookline Day was in 2012. We are proud to invite you to our seventh event, Brookline Day 2018, which will be held tomorrow, September 23, 2018 between the hours of 11:00 a.m. and 03:00 p.m.
Brookline Day is a large community event that involves many Brookline Town agencies, businesses, partners, and is headed by the Brookline Recreation Department. This year is going to be our biggest and best year yet! We are planning the best vendors, games, inflatables, trucks, food, face painters, bands, prizes, and special activities, that we can find. This is also the 6th year of our Brookline Day 5K Road Race which was a huge hit back in 2013. Brookline Day 2018 is guaranteed to be a great day of family fun that everyone will enjoy. Q: How do I get to Brookline Day? Where do I park? A: We provide shuttles to Brookline Day throughout the event from all over Town. Parking is very limited around Larz Anderson Park but we have multiple parking options throughout Town that are frequently visited by shuttles. For a complete list of Transportation options, please visit here. Q: Is there a main information booth or central tent at the event? A: Yes. The main hub of Brookline Day is the Information Tent at the main entrance of the event. On the map it is noted as letter “A“. 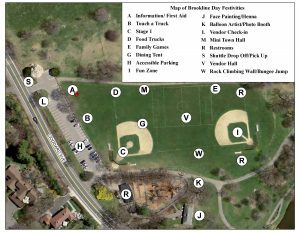 All general questions, inquiries, and other Brookline Day related information will be available at this location the day of. Q: Does Brookline Day cost anything to attend? A: Nope! Its completely free to come to Brookline Day. Food, Water, and Merchandise will be available for purchase at the event but all activities are free! A: First Aid is location at the Information Tent with letter “A” on the above Map. Q: Will there be food options available? What should I bring related to food? A: We will have multiple food trucks avaialbe throughout the Park. All food costs money. If you have any specific dietary needs, it is recommended you pack a lunch. For more food information, please visit here. 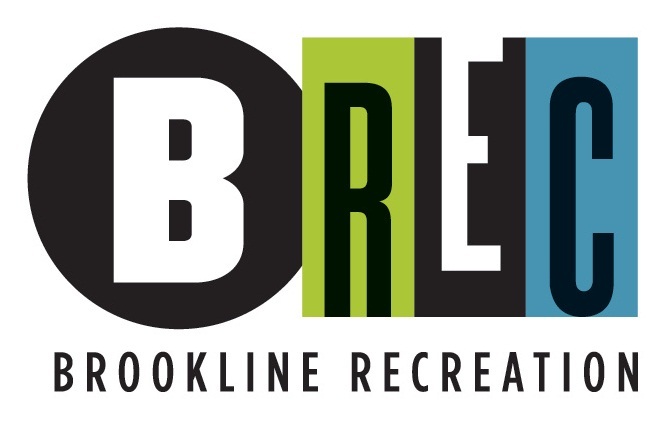 Q: Can non-Brookline residents attend Brookline Day? A: Of course! Bring your friends and family wherever they may live. Q: Will there be items available for purchase in the Vendor Hall? A: Yes. Some Vendors will bring items to sell. Not all Vendors will be selling items. Q: Are there accessible parking options? A: Yes. There are accessible parking lots at Larz Anderson Park noted as letter “H” on the above map. Q: Is Brookline Day Wheelchair Accessible? A: Partially. There is a paved walkway that loops around the edge of the park. You will be able to access some of the event via the walkway but a majority of the event is located on grass. Q: If my child and I get separated during the event, what should we do? A: Report the incident to the information tent. It is recommended that you and your children establish a separation plan prior to the event. A safe meeting place is the Information tent located at letter “A” on the map. Q: Can you tell me more about the 5K Road Race? A: To learn more about the Brookline Day Road Race, please visit here. Q: Is there a rain date? What is the rain plan? A: There is no rain date… this is a rain or shine event. Much of the event is covered by pop up tents and canopies but rain or shine the event will go on! If you have any other questions, please call 617-730-2069 prior to the event.